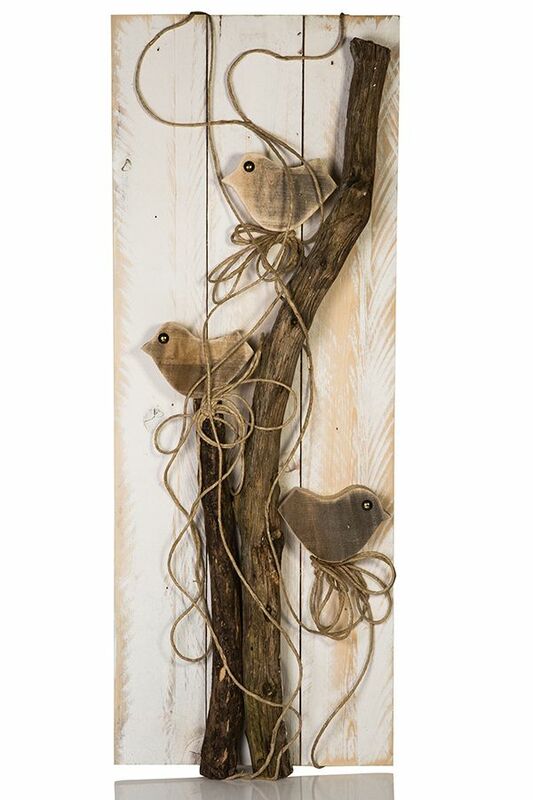 Centro del Mutamento hand painted natural wood wall frame with three birds sitting on natural log and detailed with brown cord, white painted panel wood. Natural wood and hand carved in Italy. This frame will give your wall a natural and warm feel. Frame measures approximatel Hx30.5" and Wx12".